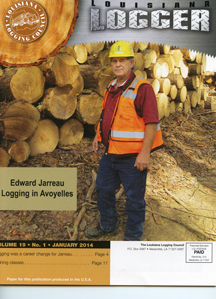 2014 Logger of the Year for Louisiana, Mr Eddie Jarreau of Avoyelles Timber. In recognition of this great honor, we awarded him a free lifetime membership in the Southern Loggers Cooperative. We want to congratulate Eddie and welcome him to the Co-op!